Cooler older women are having a bit of a fashion moment. What started a couple of years ago as a trickle of magazine covers and ads featuring women over 60 has recently turned into a flood: Helen Mirren for L’Oréal, Charlotte Rampling for Nars, Jessica Lange for Marc Jacobs, Joni Mitchell for Saint Laurent . . . the list goes on. 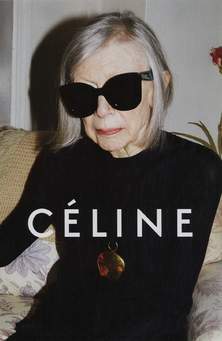 When Joan Didion was announced as the new face of Céline SS15, via an ad showing her looking almost unbearably hip in a photo shot by Juergen Teller, Twitter exploded with excitement. For those of us weary with the endless parade of blank-faced young models, the arrival of some older faces—complete with both wrinkles and a story to tell—comes as a relief. (Bold and italics mine). 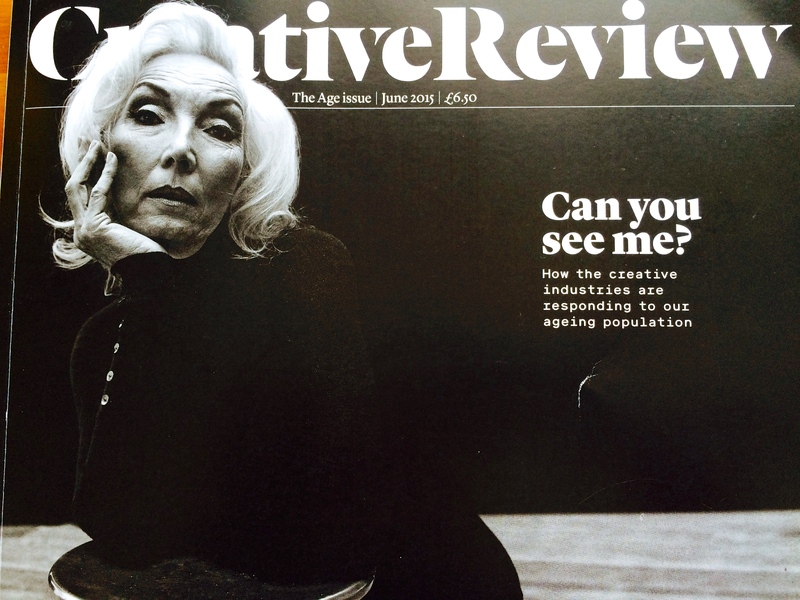 . . Could we finally be seeing a shift away from the obsession with youth and a renewed respect for older womenkind? Could we? Later, I found an article in the Travel and Style section of the Wall Street Journal: Smith, Erin Geiger. “Websites Predict Your Perfect Dress,” The Wall Street Journal, (6 Aug. 2015), which discussed online shopping. One web site, MM.LaFleur, offers a “ ‘Bento Box’ of clothes and accessories ” based on a series of questions to discover the preferences of the prospective buyer. MM.LaFleur goes on to ask buyers to select their “girl crush.” (I take this to mean which woman you most want to look like). The choices are not supermodels but real people. Okay, famous people and some dead ones, but not with unattainable physical perfection or youth. People like Oprah, Sonia Sotomayor, and Amilia Earhart and wait for this, Joan Didion. I can only surmise that there is a growing trend, however subtle, toward an expanding female ideal that includes, finally, older women with wrinkles, character and brains. Great to hear that older women are being valued in this way! Thank you for your article 🙂 I never pay much attention to fashion magazines – maybe because of the young, frail looking models – I might pay more attention of women my age and older were featured on the cover!